Sometimes you want to look sharp, distinctive, unique. And there is nothing better than a custom-tailored suit to achieve this look. But women’s suits are usually about half as nice as men’s suits and are cut from cheaper fibers and without the distinctive details. This is especially true if you are outside of stock sizes or don’t have the money to buy something by Chanel. Our suits are the answer to this. 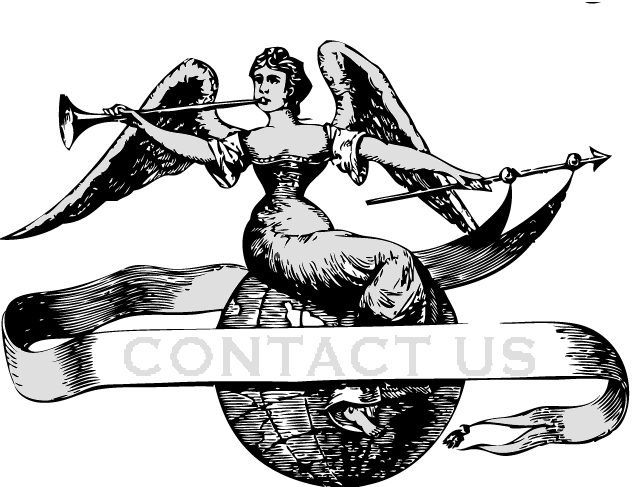 We can make them a bit retro or in a fin-de-siecle style. We can make them contemporary or ultra modern. We can pretty much do anything. And although our suits are more expensive than women’s department store suits, they are cut from fine wools and silks and are fully tailored and structured using quality menswear techniques that we have spent years perfecting. Check out our men’s suit shop, Denver Bespoke, for more of our men’s styles and fabrics. Almost anything that you see can be transformed into an awesome women’s suit as well. 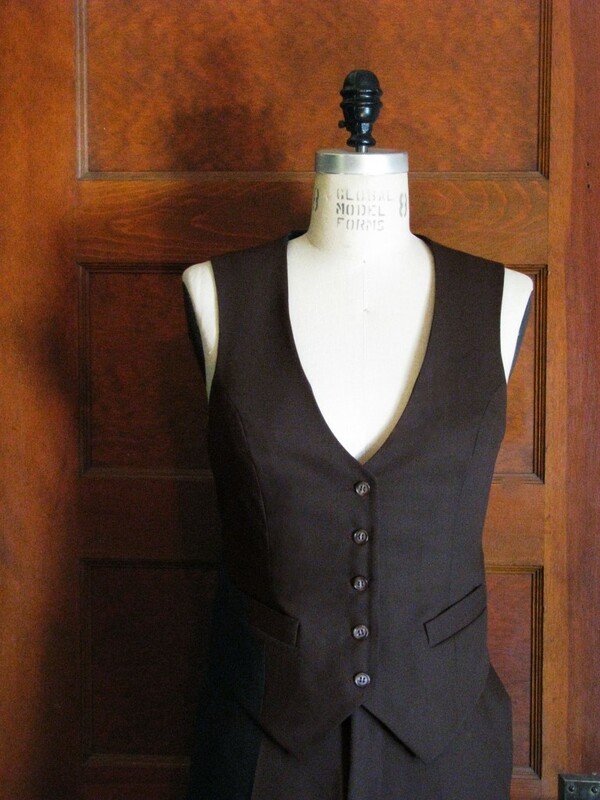 We can get virtually any type of fabric in any color and can make vest with collars, unique pockets, and various cuts. 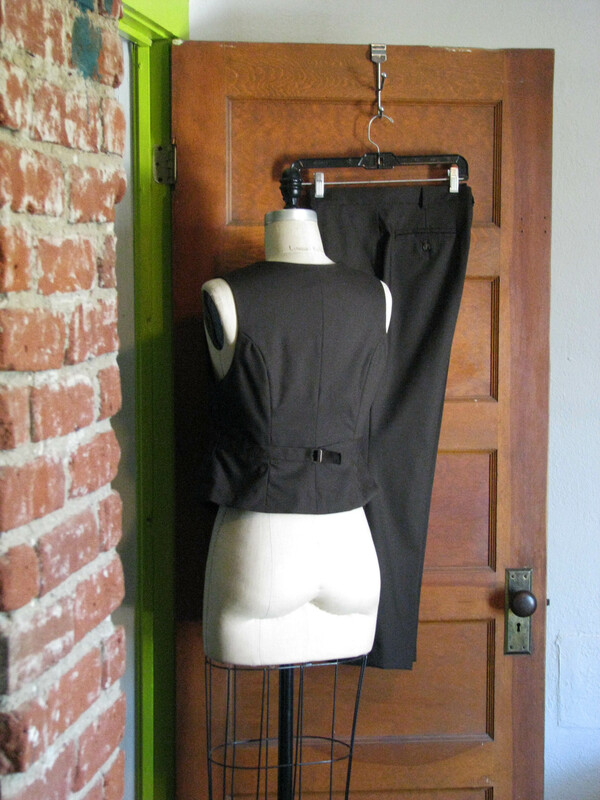 Contact us today to start building a suit in your size and in your choice of fabrics. 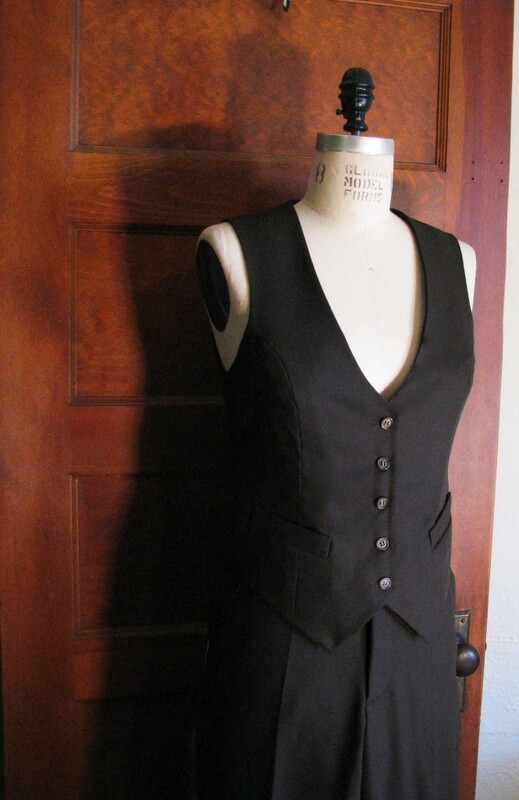 A vest suit in this style will typically be about $725 including having us make a muslin for fitting. We send the muslin to you for feedback and pictures and then make a completely custom pattern, assuring the ultimate fit.